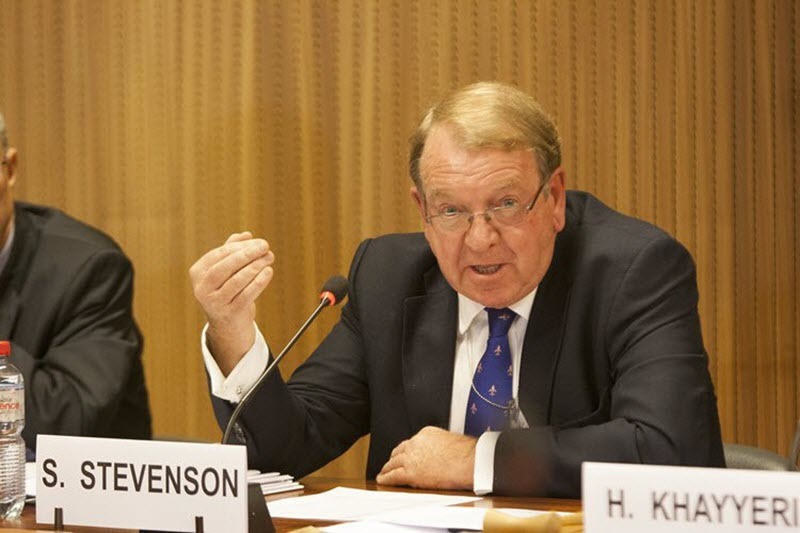 As a former Scottish Member of the European Parliament and coordinator of the Campaign for Iran Change, Struan Stevenson is well-versed in the decades-old policy of appeasement Western governments have long adopted towards the Iranian government. It is time for the EU to pull out of the nuclear deal with Islamic Republic of Iran. The appeasement policy of the EU’s high representative for foreign affairs, Federica Mogherini, has been an abject failure, simply emboldening the mullahs to order assassination attempts against opposition figures in Europe and brazenly to fire ballistic missiles into Syria. Mogherini was one of the main proponents of the Joint Comprehensive Plan of Action that was signed in Vienna on July 14, 2015 and involved five permanent members of the U.N. Security Council: China, Russia, France, the U.K. and the United States. U.S. President Donald Trump called the JCPOA the worst deal in history, pointing out that it led to the release of over $150 billion in frozen assets, enabling the theocratic state to redouble its funding of Hezbollah in Lebanon, Hamas in Gaza, the Houthi rebels in Yemen, Bashar al-Assad in Syria and the brutal Shi’ia militias in Iraq. Pompeo’s remarks followed a rash of terror events sponsored by the mullahs in Europe. On July 1, German police arrested Assadollah Assadi, a diplomat from the Iranian Embassy in Vienna, and charged him with terrorist offenses. The day before, Belgian police had arrested an Iranian-Belgian couple from Antwerp after 500 gm of high explosives and a detonator were found in their car. They admitted Assadi had given them the bomb and instructed them to detonate it at the Iranian democratic opposition rally being held in Villepinte, France, near Paris, that day. President Emmanuel Macron of France declared his outrage at this attempted terrorist atrocity on French soil and imposed immediate sanctions on Iran. Undeterred by this embarrassing setback, in October, Iran sent another diplomat to assassinate an opposition figure in Denmark. He was also arrested and is now facing trial. Similar terror plots were uncovered in Albania, where Iran’s newly appointed ambassador and first secretary were found to be leading Ministry of Intelligence & Security agents, plotting attacks on the 2,500 Iranian dissidents from the People’s Mojahedin of Iran (PMOI or MEK) who have set up a compound near Tirana. Albania’s courageous Prime Minister Edi Rama did not hesitate. He announced the expulsion of both so-called Iranian “diplomats” last December, on the grounds that they posed a threat to Albania’s national security. Despite clear evidence that Iranian embassies in Europe were being used as terrorist bomb factories, EU lawmakers on July 5 — less than a week after the Iranian diplomat from Vienna was arrested — approved plans for the European Investment Bank to do business with the ruling theocracy in Iran, in a desperate bid to keep the 2015 nuclear deal alive. Europe’s leading appeaser, Mogherini, has been a frequent visitor to Tehran, where she pays homage to the ayatollahs, donning a headscarf to offer submission to the clerical regime’s misogyny, even posing for selfies with the mullahs. Now she has decided to snub an anti-Iran conference organized by Pompeo in Warsaw, Poland, in mid-February. But Mogherini’s efforts at conciliation appear to have fallen on deaf ears in Europe. It has been reported that a delegation of leading EU diplomats from France, the U.K., Germany, Denmark and the Netherlands had a volatile meeting earlier this month in Tehran. They told senior Iranian officials that the EU could no longer tolerate ballistic missile tests in Iran and assassination attempts on European soil. Apparently, in an unprecedented breach of protocol, the Iranian officials stormed out of the room, slamming the door. Clearly, the mullahs are deeply perplexed. A state of total confusion has persisted ever since Trump tore up the nuclear deal and reimposed tough sanctions. For many EU countries, assassination attempts on their own soil were the last straw. Sanctions approved now by France, Denmark and the Netherlands and threats of further action by a widening range of EU member states, have isolated Mogherini and her disastrous policy of appeasement. The time is right for the EU to follow America’s example and pull the plug on the nuclear deal. 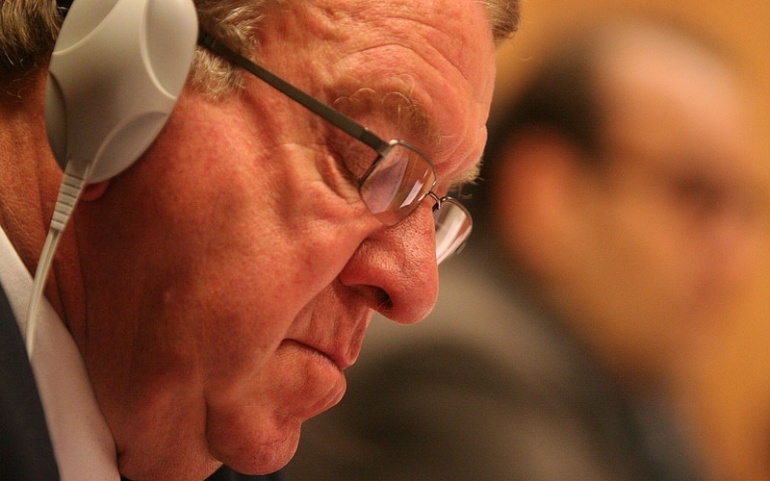 Struan Stevenson is the coordinator of the Campaign for Iran Change. He was a member of the European Parliament representing Scotland (1999-2014), president of the Parliament’s Delegation for Relations with Iraq (2009-14) and chairman of Friends of a Free Iran Intergroup (2004-14). He is an international lecturer on the Middle East and is also president of the European Iraqi Freedom Association.